Home Review Embark on a Space Adventure at The Mind Museum! MANILA, Philippines – Everyone is fascinated by outer space. 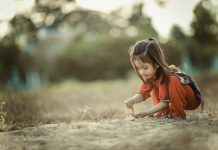 When it comes to the wonders of the universe, every one of us is a child looking up and marveling at what is out there. 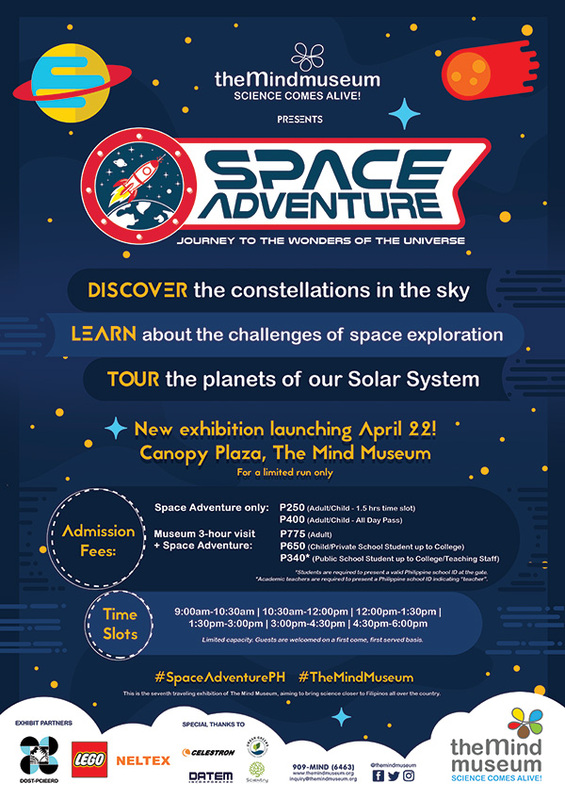 Newly opened last April 2018, Space Adventure invites kids from 2 to 102 to embark on an adventure into the wonders of the universe. 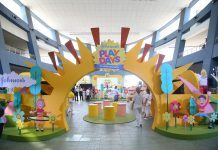 The interactive exhibits and play areas of Space Adventure will engage the imagination and curiosity of toddlers and young kids. Meanwhile, K-12 students will find their space science lessons in the new DepEd curriculum come alive through the exhibits! Space Adventure is divided into three areas, beginning with Fantastic Universe. Here, guests will learn about our links to the stars. Guests are first welcomed by the Cosmic Calendar, which compresses the 13.8-billion year history of the universe into one calendar year, with the Big Bang in January 1 and the appearance of humans in the final minutes of December 31. In the I Am Star Stuff exhibit, guests can take a photo where the optical illusion showcases that we are literally made of star stuff! In Fantastic Universe, kids will learn about constellations and star patterns by playing with the Star Wheel and the Geoboard. They can also get their creative juices pumping when they speculate about possible alien life forms in the Draw An Alien activity table. Enter the different geodesic domes, one of which houses exhibits about outer space. Guests will also get to step into the Teleporter, a booth with mirrors that gives the guests an illusion of floating in space. 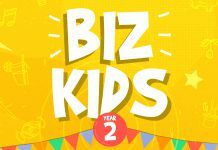 For students on field trip, Educator’s Guides and Activity Sheets are available to enhance the experience and learning of young kids and students.